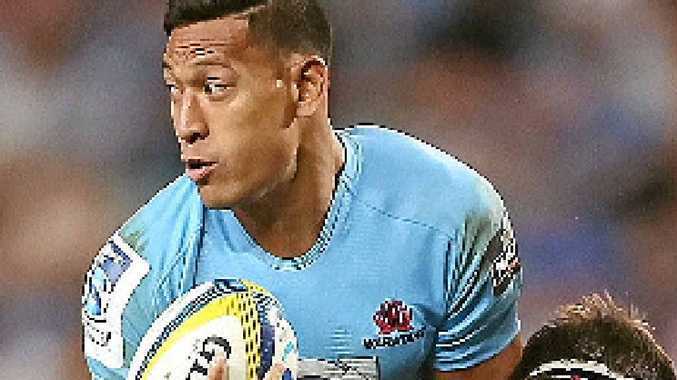 WARATAHS try-scoring machine Israel Folau is expected to join his teammates in Durban tonight after being given time to recover from a bruised throat sustained in Friday night's 32-8 win over the Rebels in Sydney. Folau, who took his season's tally to eight tries with a double against the Rebels, stayed home while the rest of the 27-man squad flew to Durban on Saturday. He is scheduled to leave Sydney today and is expected to be available to take on the Sharks on Saturday night. The Sharks still lead the South African conference despite losing to the Bulls 23-19 in Pretoria on the weekend. It was the first game away from home this season for the Sharks who lead the competition with 19 points from their five matches. The loss reversed the round one result when the Sharks beat the Bulls 31-16 in Durban.